When Dougal has finished watching an episode of One Foot in the Grave, Ted tells him that they are going to the mainland so that he can collect his betting winnings. Jack is also going to get some new glasses and Mrs Doyle is going to have tea with her friend, Mrs Dineen. Jack and Mrs Doyle part company with Ted and Dougal on arriving. After Ted collects his winnings, he and Dougal go to see the Very Dark Caves. 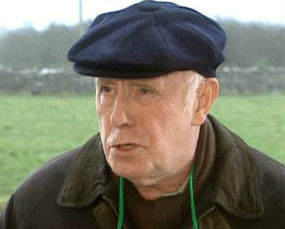 While waiting outside, Ted spots Richard Wilson from One Foot in the Grave and has the great idea of going up to him and quoting, I don't believe it, his catchphrase at him, as no-one has probably ever done it before. When Ted does this, Richard Wilson goes mental and has to be dragged off Ted. During the cave tour, Ted again screeches I don't believe it after being told that the caves are fifteen million years old. Unfortunately, Richard Wilson is standing in front of him and resumes the attack on Ted. Ted and Dougal flee through the caves and encounter the immensely irritating Noel Furlong and his youth group, who have been trapped for two days. 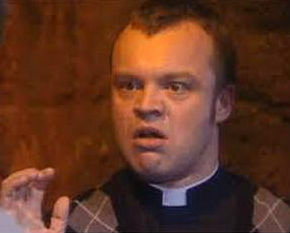 Noel starts a screeching competition and gets covered in rocks, at which point Ted and Dougal leave. Ted and Dougal finally get out and go for something to eat only to be informed that Jack, Mrs Doyle and Mrs Dineen have all been arrested. Jack was arrested for fighting in a pub and Mrs Doyle and Mrs Dineen for fighting in a tearoom after an argument about who should pay the bill. Ted ends up having to pay £200 to get them out of jail. Back at Craggy Island, the front-door bell goes. Ted opens it to see Richard Wilson standing there, he has become lost while riding his bike. Wilson exclaims, I don't believe it! Father Ted: You know what he'd love? He'd really love it if someone came up to him and said his catchphrase. Father Dougal: Oh, yeah, Ted! He'd love that! You should definitely do that. Father Dougal: Oh, yeah. I'd say no-one ever does that to him. He'll think you're hilarious. You know, this is one of those times where I'm absolutely, one hundred million percent sure that you'll be doing the right thing. I can safely say that you definitely, definitely won't regret doing that. Father Ted: There was a time when the police in this country were friends of the church; speeding tickets torn up, drunk driving charges quashed, even a blind eye turned to the odd murder! Third and final appearance of Noel Furlong. He sings Queen's Bohemian Rhapsody in the caves before being covered in rocks. The crows keep stealing Jack's glasses. The Very Dark Caves have the subtitle - It's Almost Like Being Blind. Dougal wonders why all the rocks in the Very Dark Caves are different sizes. Every time someone mentions Mrs Doyle's first name another noise blocks it out. The final scene shows Noel Furlong covered in a pile of rocks singing Queen's Fat Bottomed Girls. The art director Bill Crutcher makes an appearance as the smoking bin-man.